She was right. He was probably thinking about dinner. If you take a 4 year old to see Lucinda Williams at the zoo, she’s going to want to see the animals first. When you take her to see the animals, she’s going to decide that, no, she wants dinner first. After she eats, she’s going to need to go the bathroom. When she says this, you’ll still be holding her on the toilet and wondering when it was your little girl turned into Buddy the Elf. After she sees the penguins, she’ll want to see the bats. 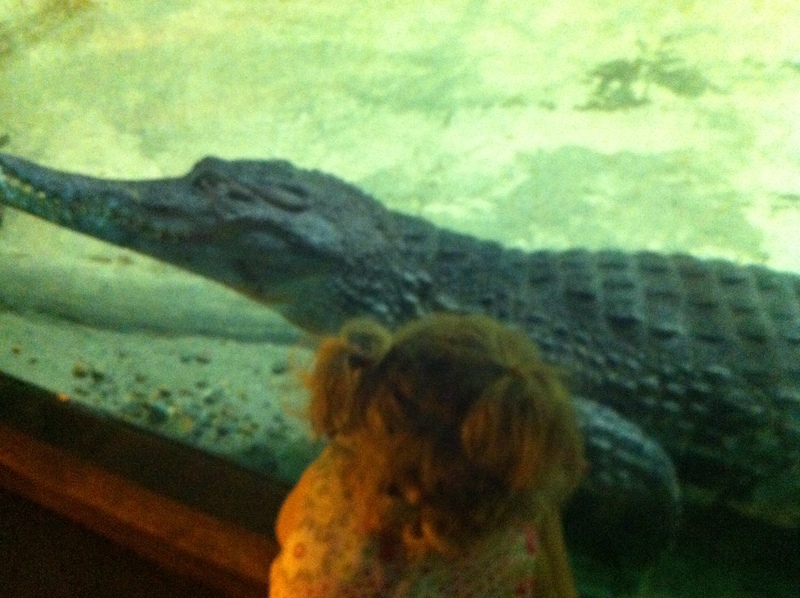 After she sees the bats, she’ll want to see the crocodile. When she says dinner, it’ll remind her that she’s hungry again. If you take a 4 year old to see Lucinda Williams at the zoo, she will eventually want to go see Lucinda Williams. When she gets to her seat, she’ll want to stand. When she stands, she’ll want to sit. When she sits, she’ll want to lie down. When she does that, she’ll want to play the tickle game. When Lucinda comes on, the 4 year old will have to go to the bathroom. When she goes to the bathroom, she’ll say the reason she was being so wiggly was because she had to go to the bathroom. Then she’ll try to give you a hug while you’re holding her on the toilet. When she says that, you’ll leave. On the way home, she’ll say, “I had fun tonight.” And then you’ll think maybe you should take your 4 year old to see John Hiatt at the zoo. I took my four year old to the Sleep Country to see KISS and the only question he asked, after the second song, was “can we go up front?” Actually, he SAID “I want to go up front.” That’s my boy.